How much do YouTuber's make? How much does The Game Theorists make? 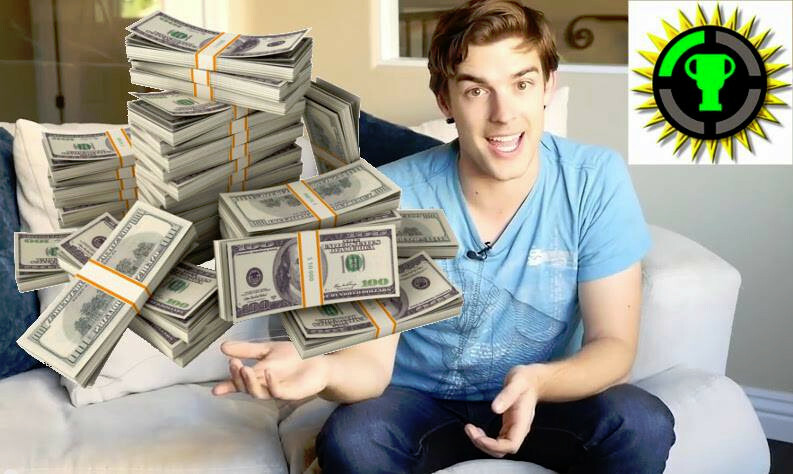 According to our calculator Matthew Patrick (better known as MatPat) has made between $1 million to $3 million USD from his YouTube channel, The Game Theorists! This amount of moneyt doesn't even include his other very popular YouTube channel, The Film Theorists. His YouTube channel has over 6 million subscribers and almost 1 billion total video views, making him one of the most popular YouTubers in the world. So if you ever wanted a career which involves playing videos and theorizing of the physics behind the storylines, well maybe starting a YouTube channel might be for you! Subscribe for Daily Info of YouTubers' YouTube Revenues!